When it comes to home security tips to keep you and your family safe, you can never get enough advice. If we’re honest with each other, South Africa continues to struggle with crime. It’s not a secret. Statistics from the Africa Check Organisation* show that our problems run deeper each year and Stats SA** shows that burglary is the number one fear amongst your fellow South Africans. So the question is, how can you avoid becoming just another statistic? First of all, don’t assume that burglaries only happen to other people. Thinking this way is dangerous and could leave you unprepared when it matters most. Here are a few simple home security tips we’ve put together to help you stay one step ahead of the bad guys. COMMON SENSE Let’s kick this off with some good, old-fashioned common sense. Locks are not indestructible. They need maintenance, just like everything else in your house, and should undergo a full check-up once a year. This sort of basic vigilance should really be the first step in a regular home security audit. Checking alarms, windows and finding weak spots, like doors that require a bit of extra security. It helps to try and think like a burglar to spot these weak spots. No one knows your home better than you do, so imagine you are trying to break in. Where would you hide? Where would you gain entry? Once you have the answers to these questions you’re one step closer to a more secure home. WHO YOU GONNA CALL? Consult a professional when setting up your security systems at home. You wouldn’t just let some dentist off of Gumtree operate on your teeth would you? 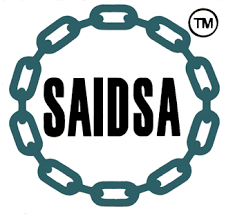 Make sure that your chosen security provider is part of the South African Intruder Detection Service Association*** (SAIDSA). It’s an extra step but it will ensure that both the equipment, and the service itself, are up to industry standards. GET SMART Technology is so integrated into our lives that we’ve actually fallen in love with how smart our phones are. Well, now we can add locks to that list. Smart locks ensure that only people you’ve authorised are allowed into your home. Want to make sure your cat-sitter can come and go as they wish? Sit back and enjoy your holiday. You’re covered. A FRIEND IN NEED How do you feel about a bit of team work? Why not hop onto your local neighbourhood watch group and get involved? It’s never been easier either. Favourites like WhatsApp have made staying in touch a cinch. No group in your neighbourhood? Why not start one? It’s a good excuse to mingle, and who knows, you could even make a friend or two. PLAY SOME HIDE-AND-SEEK Hiding your valuables before you go away doesn’t have to be a chore. Why not see if you can outwit potential burglars by finding clever hiding places they would never suspect. Here are a few ideas to inspire you. Get creative! PLAN AHEAD Safety zones in your home just make sense. It may take a little getting used to but these zones can provide precious moments when dealing with an intruder. Simply ask your preferred security provider to install a gate between your sleeping and living quarters and enjoy a well-deserved night of sleep. ARM YOURSELF You don’t have to own something deadly to beef up your personal arsenal. There are a multitude of non-lethal protection tools out there for you to choose from. Hiding some of these gadgets around your home in strategic places will let you fight back, without directly endangering the lives of your loved ones. KNOCK KNOCK Improving your basic security is never a waste of time. 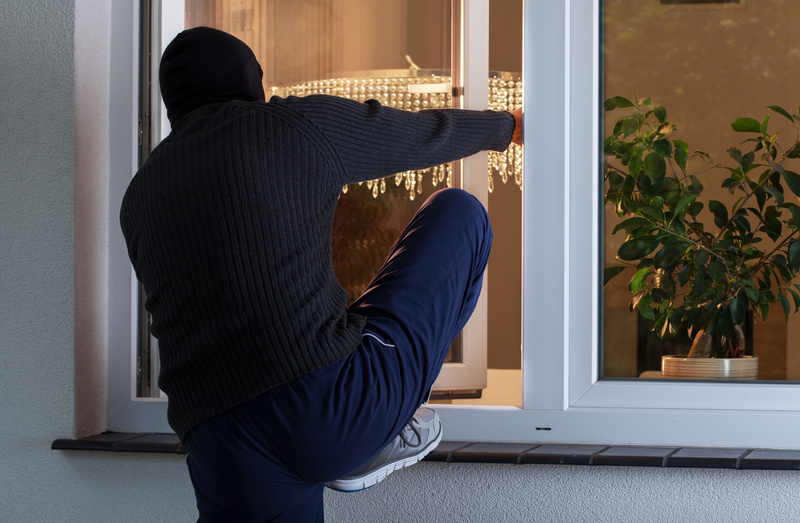 Doors and windows are the frontline of your defence against break-ins. Tired of how your burglar bars look? You may have more options than you realise. 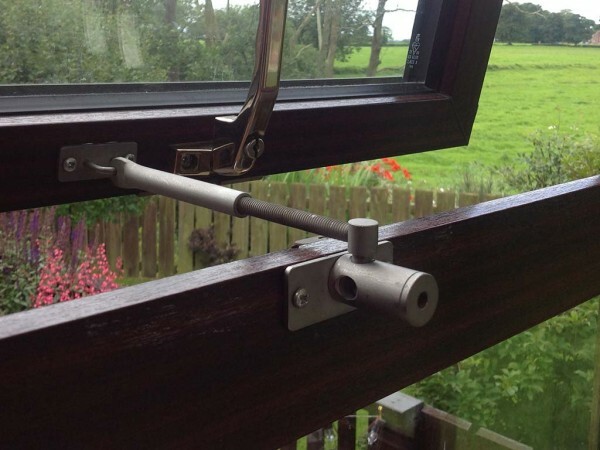 You could try LockLatch, a lockable window restrictor – keeping your windows open but locked and leaving those burglar bars behind! DISTRACTION Always keep your car keys close to your bed while you sleep. If you wake up at night with someone rummaging around your garage, set off your car alarm to startle them. This simple trick could be enough to convince burglars to move on. TIDY UP AFTER YOURSELF Burglars are actively prowling our neighbourhoods. Always make sure tools such as hammers and ladders are safely stored and secured after use. Don’t make it easier for roaming opportunists. BONUS TIP! Finally, an oldie but a goodie. Consider bringing a guard dog into your home. It doesn’t have to big and vicious, it just has to be loud. Any burglar out for an easy target will think twice if you’re new pal is already keeping half the neighbourhood up at night. This article cannot protect you from every possible threat scenario. All it can do is help lower your chances of becoming a target. Perhaps the most important thing is to have a plan of what to do if your house is broken into. Know where the panic buttons are, where a safe space in your home is or a safe way to get out. Come up with a plan and share it with your family. This way everyone in the home knows what to do in a moment of urgency – where to go, what to do and who to call. Have you been inspired to shake things up a little at home? Have a few home security tips of your own you want to share? Get involved in the comments below! We’re in this together.